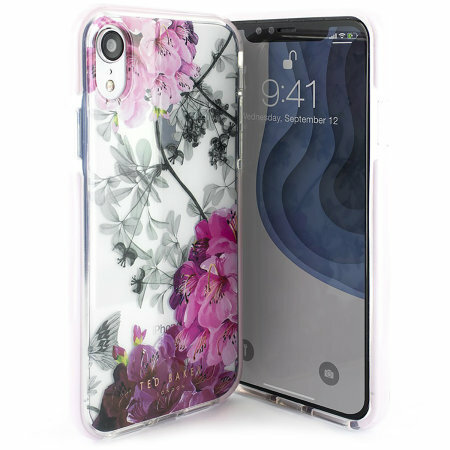 Form-fitting and bulk-free, the Babylon Nickel case for iPhone XR from Ted Baker sports an ethereal, otherworldly floral aesthetic while also offering superlative protection for your device from drops, scrapes and other damage. At last I’ve found a case for my XR-love it! The patterns bright and love the shade of pink around the sides. Really nice, slightly thick around the edges but I guess that makes it ‘bounce’ if dropped. Protects my phone whilst looking pretty! Love this phone case, feels really good quality and looks fabulous! Would definitely recommend. Great quality product and great to look at, my Wife loves it.